Serving the area for almost an entire decade, our bail bond agents have helped hundreds of individuals post bond, getting them out of jail quickly and back home where they belong. We know that when there’s trouble, you’re likely to search for “bail bonds near me” and we want you to know that at A-1 Affordable Bail Bonds, we serve all of Louisiana and we’ll be there for you when you need it the most. Certified and licensed by the state of Louisiana, A-1 Affordable Bail Bonds is not just your average bond company. We like to believe that our experience in the system gives us a compassionate edge that is not often seen in our industry. By approaching each client as an individual with specific needs, we enable our bondsmen the ability to create flexible repayment plans that ensure a stress-free experience. Working with transparency, our philosophy for our daily operations is simple and straightforward – to ease your stress and frustration by handling your bail bond needs with personalized care. 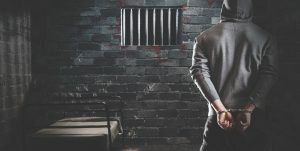 Acting confidentially at all times, we act with extreme urgency to ensure the quick release of either yourself or a family member from the local jail. Serving all of Louisiana, with bondsmen in all of its parishes, we promise to work with integrity during the entire process, guiding you through the court system. 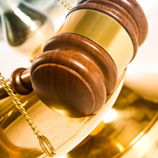 Protecting your privacy, each agent from A-1 Affordable Bail Bonds is a true professional at all times. Don’t waste another minute. Call us now for emergency services and let us be there for you when you need help the most!